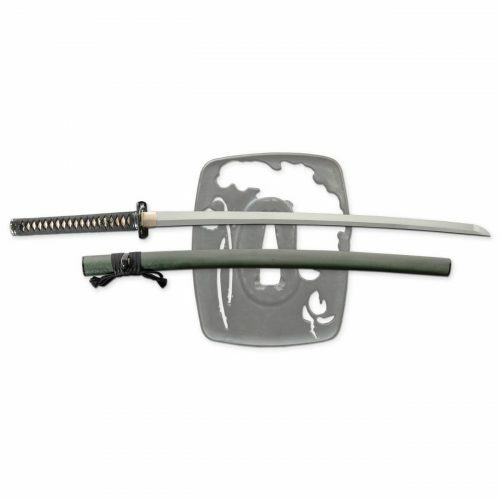 The Lion Dog Katana features an O-Kissaki blade of Hanwei’s own high-alloy HWS-1S steel, which combines superior performance with an outstanding O-choji hamon. This steel is made in Paul Chen’s new Hanwei factory, with high-tech equipment, producing a very pure advanced-metallurgy blade with the best edge-holding capability and resilience of any blade ever produced by Hanwei. The outstanding performance characteristics of blades forged from HWS-1S steel derive from a combination of the careful selection of alloying elements and a complex processing procedure, basically involving the manipulation of the steel’s carbon content across the blade section. 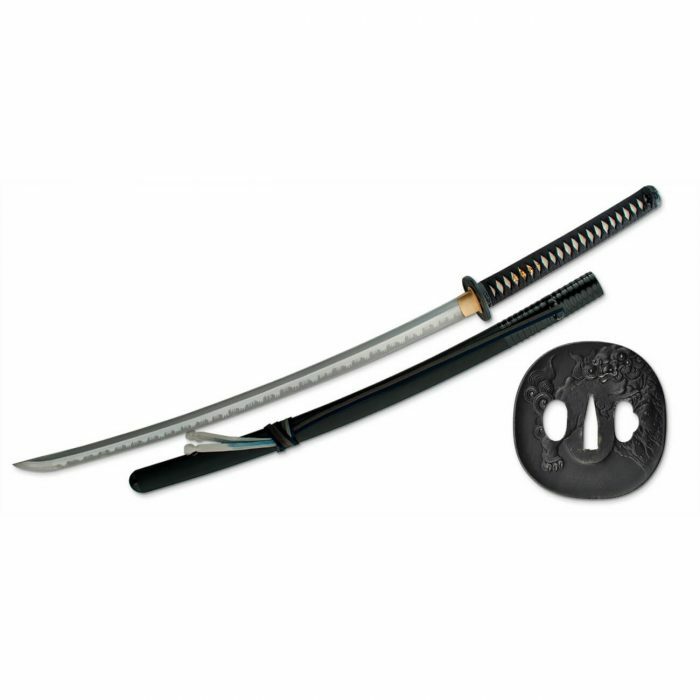 This results in a very tough and resilient blade with a hard, highly abrasion-resistant edge. 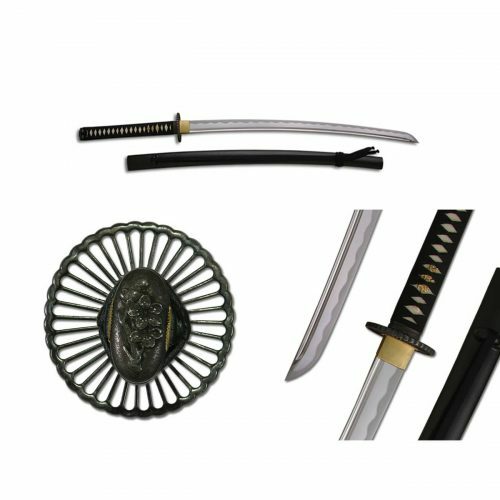 The Katana’s detailed fittings feature a Lion-dog themed black iron tsuba, with matching fuchi/kashira and golden peony menuki. The complex saya features a gloss-lacquered ribbed section at the koiguchi/kurikata with the balance spatter-lacquered for a very attractive appearance. The premium multi-colored sageo is hand-woven in pure silk.